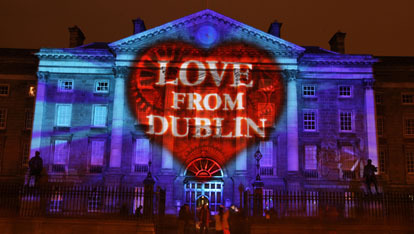 Welcome to Dublin’s Fair City; a historic city with an urban heart. Twice voted 'Europe's friendliest city'. To be honest it’s hard not to have the craic (fun) here. 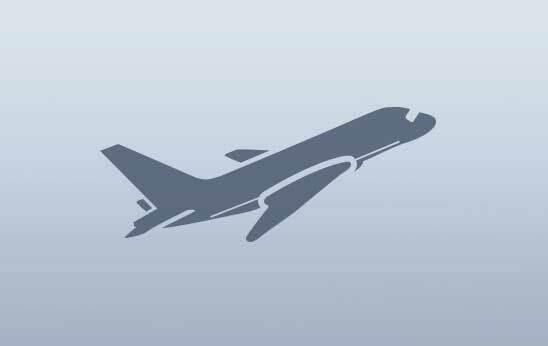 And the best part is, the city isn't that big, so it's super-easy to get around. Dublin’s food scene will hit the spot. A new generation of chefs have laid siege to the city, and they’re serving up excellent food at very reasonable prices. Temple Bar is the place to go. Everything from Mongolian, Chinese to traditional Irish cuisine is available here. 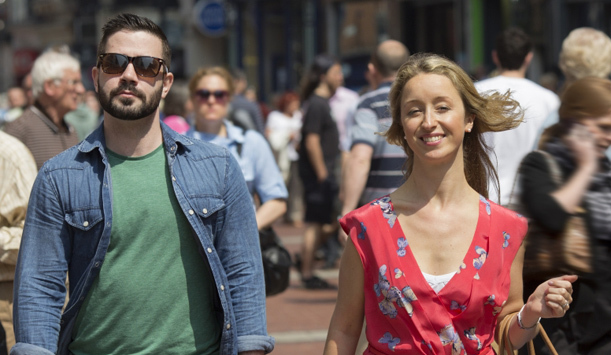 Take a stroll down Exchequer Street or South Great George’s Street for some of Dublin’s newer eateries. And should you be feeling thirtsy, why not head for the Guinness Storehouse. This powerhouse of pints tells the story of Ireland's favourite export: Guinness. There’s literally always something happening on Grafton Street, be it live bands, daredevils or a man in a leprechaun costume (some clichés refuse to surrender!). Grafton Street is the shopping center of the city. You'll find high-end boutiques and designer shops here, and if you need a break, dip into Bewley's for a coffee and a pastry. You've earned it. A short stroll from Graton Street brings you to the Powerscourt Shopping Center on South William Street. Within this stylish and elegant shopping center you'll find high end retailers and tasty cafés. The perfect place to indulge in a little shopping splurge! Go on, treat yourself. While you're in the neighborhood, check out The Little museum of Dublin. A fine old Georgian building holds this eccentric museum. Everything from signed U2 albums to James Joyce’s death mask are within these walls. Ok, so you’ve soaked up some fine art, done a little shopping and even squeezed in some culture. Time to unwind! 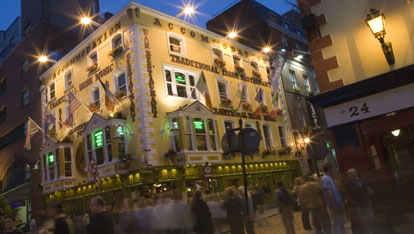 When it comes to having fun, there’s only one place in Dublin that gives you the “full Irish” night out: Temple Bar. 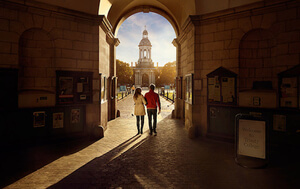 Right in the heart of Dublin, this cobbled pocket of the city turns into a night time wonderland when the sun goes down. Everything you need for a great night out, you’ll find in Temple Bar. Catch a traditional Irish music show, a rock gig or dance until your feet hurt in a chic nightclub. In the morning, why not head out of the city? 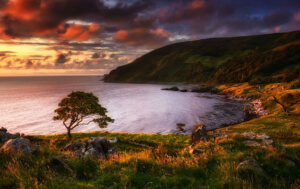 Glendalough is just a short trip out from Dublin to County Wicklow. This monastic marvel made headlines around the world when Michelle Obama and her two daughters dropped by for a visit. 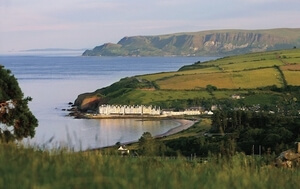 It's an area of exceptional natural beauty with sparkling lakes a lush woodlands. It's an important historic site, too. The remains of an ancient monastic site and impressive round tower are still visible today. Also in County Wicklow (known as the Garden of Ireland) you'll find Powerscourt Estate. Just 20 minutes drive from Dublin, the Powerscourt Estate is made up of an elegant 18th century mansion surrounded by stunning grounds. This is home to one of the most beautiful gardens in the world and the grounds contain ornamental lakes, secret hollows and rambling walks. When you've explored the grounds, head to the stunning 18th century house for a bite to eat and a browse through specialty shops. Dublin's a gem, but don't just take our word for it. These three Dubliners – a fashion boutique owner, a brilliant chef, and a sports journalist – have their own favourite spots. 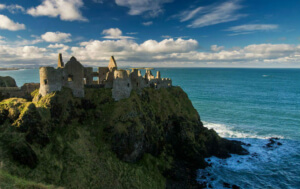 Never to be outshone by Dublin, Belfast City impresses as Northern Ireland’s capital city. The city itself is ideal for walkers, made up as it is of distinct cultural quarters, each with its own appeal. From the architectural beauty of the Cathedral Quarter to the bustle of the Market Quarter and via the historic Titanic Quarter, each area teases the imagination. 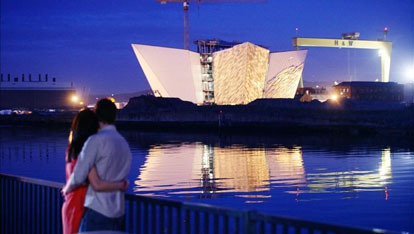 Belfast has become synonymous with one word: Titanic. It was here, In Belfast, that the most famous ship in the world was conceived of and built. They celebrate this fact in style, with the amazing Titanic Belfast Visitor Centre – (even Titanic director James Cameron approves). Four giant ship hulls form the exterior of the center and within the story of Titanic’s construction and launch are told over nine engaging galleries. With interactive exhibits and rides, it truly is a feast for the senses and an icon for any 'Titanorak'. But Titanic isn't the only string to Belfast's bow. One of the must do experiences has got to be the Black Taxi Tour. With your very own tour guide driving the cab and showering you with local insight, this is possibly the best way to get under the skin of Belfast City. When the sun goes down Belfast City lets its hair down. You do know you’re in a music capital, right? Belfast’s musical pedigree goes back generations and they’re mighty proud of it. This is the town where Jimi Hendrix stage a now legendary show and the place that raised music master Van Morrison. Belfast was also the setting for Led Zeppelin’s first ever live performance of Stairway to Heaven. If you think all of Belfast’s musical glory lies in the past, think again. Ever heard of a little band called Snow Patrol? Yep, they’re from Belfast. Plus there’s a new generation of bands causing waves on both sides of the Atlantic with Belfast roots. Two Door Cinema Club and Cashier No9 are just two of them. The city is crammed with music venues big and small from a pyro-technic mega-concert at the Odyssey Arena to a candle-lit gig in pub backroom. Belfast is totally doable by foot too. Stroll through St George's Market with its wonderful food stalls before heading into the city center for a fish and chip lunch in the very chipper where Rihanna filmed her We found love video. Basically, take Belfast at your own pace. The city has awakened to a grand new era with an exceedingly bright future. 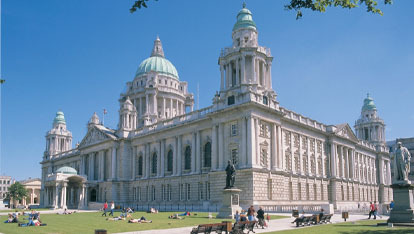 A new, invigorated Belfast welcomes visitors to enjoy its history, food, culture and sense of fun. You've got to experience it! So there you have it. A tale of two cities. Cut from the same cloth, yet completely different – and actually only a short train journey apart. We couldn’t possibly recommend one more than the other, so our only advice is to experience both.